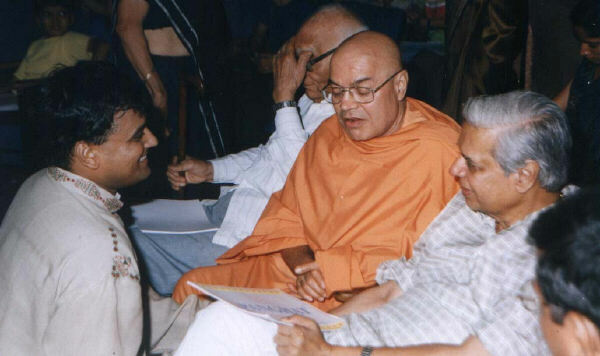 We are pleased to bring Pujya Swami Adhyatmanandaji Maharaj's letter to you all with fresh news & activities of the ashram during the month of June, 2003. Also highlighting the upcoming events in the coming months. Most Beloved and blessed friends in the spirit! Om Namo Narayanaya. Loving Pranams. Hope this finds you all in excellent health and spirit. July is the month for feast and festivals. In India we had car festival at holy Lord Jaganath at Puri- Orrisa, the east coast of India. It was on July 1st yesterday and it was attended by more then two and a half million devotees from all four corners of the world. At Ahmedabad also we had grand procession of the Lord with three decorated chariots with Lord Jaganath, His sister Devi Subhdraji and Elder brother Lord Sri Balbhadraji. We in great number from ashram went for Lord’s darshan at early dawn at 3.30 a.m. and received the grace of the Lord at 4.00 a.m. Temple committee received all of us with great reverence and we were taken straight to the holy dais of the Lord for the special worship. 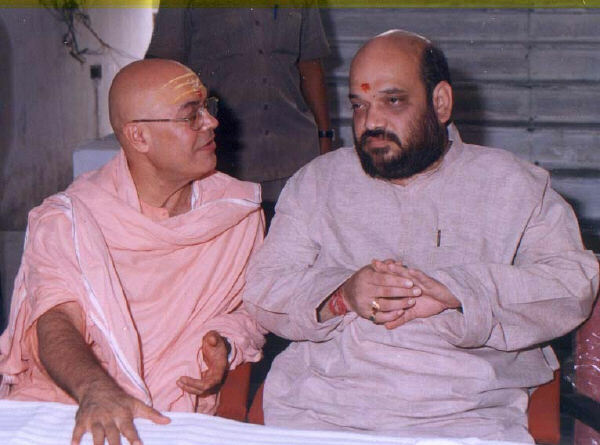 We did Archana -offering flowers to the Lord and paid our homage, then after Aarati chief of the temple Priest (Sadhu) Sri Ramharshadasji Maharaj and Mr. Amit Shah, Home Minister paid their homage to the Lord. We convey our best wishes to all of you upon Independence day of U.S.A. on July 4th. Self remembers his visit to U.S.A. ’99 when he was at LA on July 4th and he enjoyed the crackers and colourful fireworks. May this new year of yours bring you inner peace; joy and illumination. 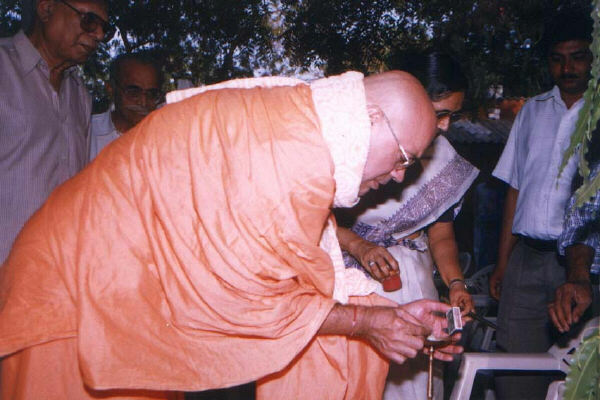 Spiritual Retreat At Tithal ( Valsad).- June1 to June 6, 2003. 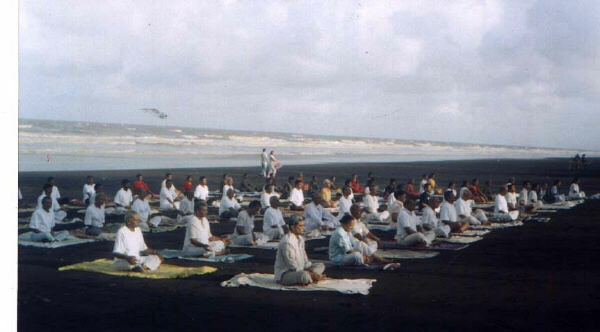 In the month of June we had our Spiritual retreat at Tithal, Seashore near Valsad in Gujarat. From early dawn to late night we had altogether five sessions of Yogasan, Pranayam, Meditation, Gita Chanting, Path of Sri Vishnu Sahashranam, discourse upon Atma Shatakam and Charpat Panjarika Stotra by Sri Adi Shankeracharya. Evening were enjoyed and filled with games to relax the self at beautiful sea shore of Tithal. Famous Bandhu Triputi Jain brothers Sri Jinchandraji Maharaj graced the Shibir for opening and for concluding session. 70 aspirants from Valsad, Surat, Bharuch, Baroda, Ahmedabad, Khedbrahma joined the Shibir and when with great satisfaction of gained feelings, each one of them gave in writing that such camps should be repeated soon. ( now and then). 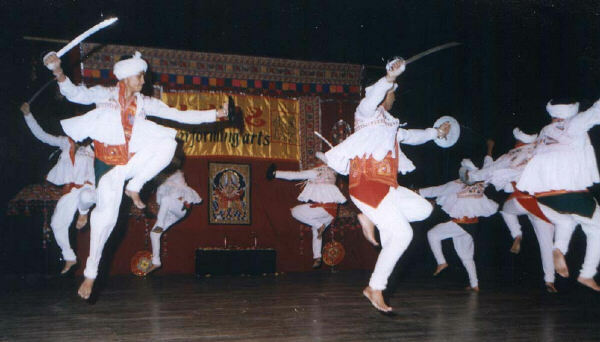 Retreat commenced on Sunday June 1st and concluded on Friday 6th June 2003. On June 7th evening we were invited to grace and bless a group of amateur artists going to Spain for inernational folkdance festival, where 45 countries were supposed to join for the same. Mr. Ashok Bhatt, Minister for law and parliament affairs for Govt. of Gujarat also joined for the function. We had very busy schedule for recording series of discourses for commercial broadcasting of All India Radio, under the title of “TAN-MAN-DURASTI” Health- Mind - Healthy Body. 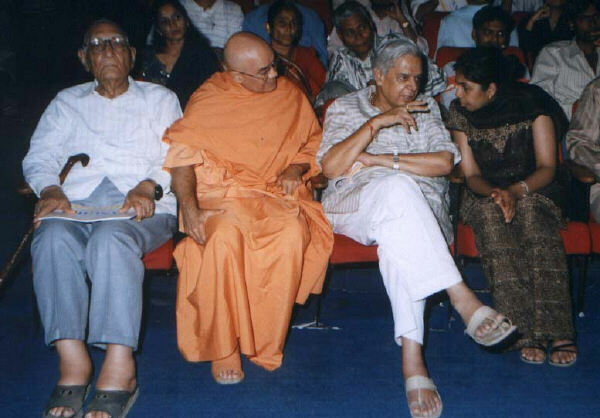 Thirteen talks were recorded (on the subjects), and will be broadcasted in July, August, September on each Monday morning from 8.00 a.m. to 8.15 a.m. form Vividha Bharati, Ahmedabad. Ashram looks very fresh, green and beautiful with half a dozen small rain showers, lust green lawns of the Sivananda Garden is an additional beauty to enjoy the visit and stay at the Ashram. Ashram will be celebrating Holy Sri Guru Purnima, Sadhana Saptah (Spiritual Retreat-Free) and 40th Holy Maha Samadhi day of H. H. Gurudev Sri Swami Sivanandaji Maharaj from Sunday July 13th to Sunday July 20th. It’s a residential spiritual retreat where altogether for nine hours we will be living with the Lord. Rev. Shobha Chaitanya Mataji of Sri Chinmaya Mission, who is our first neighbors, will be giving discourse upon “KakBhushandi Gita” (Ramcharit Manas). 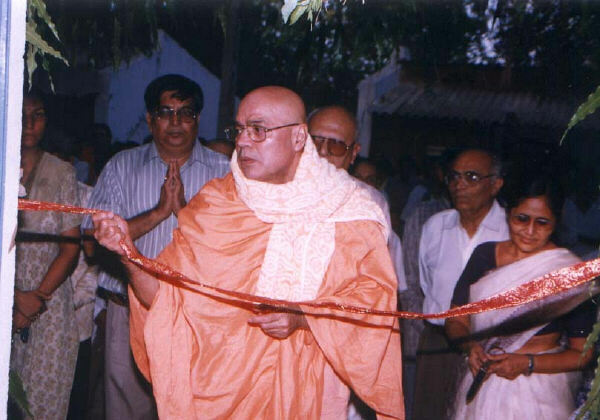 This servant of Sri Gurudev will be sharing some essential higher values of life from Uddhav Gita (Srimad Bhagavatam). 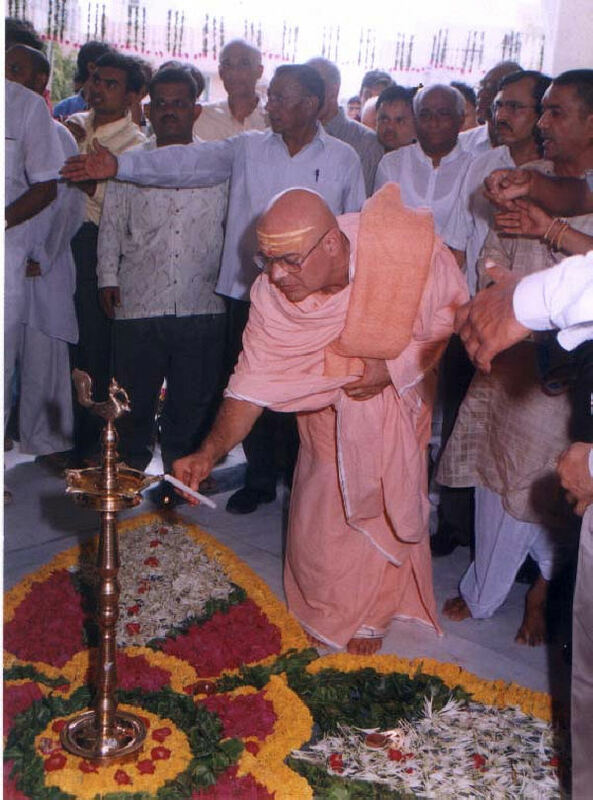 There will be a grand Paduka pooja and Bhandara’s ( Maha Prasad) on holy Gurupurnima and Sri Maha Samadhi day of Sri Gurudev H. H. Sri Swami Sivanandaji Maharaj. For the forth coming holy Sri Shravana Month that is from Wednesday July 30th to Wednesday Aug. 27th, we will be having discourse of Sri Vishnu Sahashranam. Of course Shravana will be crowded with number of festivals at our Sri Vishwanath temple, but upon Holy Janmashtami Wednesday 20th Aug. Sri Chandan Thakor director of Nrutya Bharati with his troupe of about 45 artistes will be presenting a dance drama at our ashram’s open air stage based upon Lord Krishna, His Divine Lila’ and teachings. We pray for all the best. May you all repeat more and more the holy name of the Lord, Sing His divine glories and abide in Him ( & realize ) in this very birth, this is the most sincere prayer at holy feet of Sri Gurudev. Om Shanti. With Ocean deep regards, profound love prayers for peace. 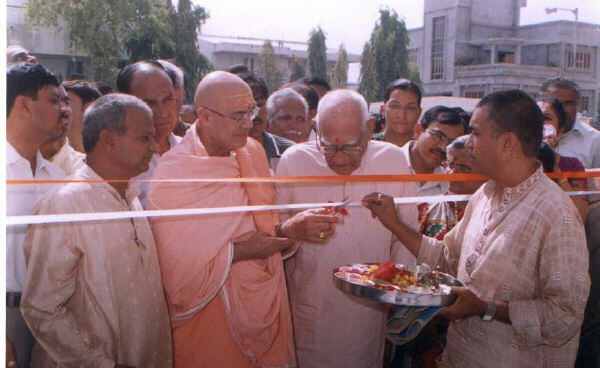 Pujya Swamiji Maharaj was invited to grace & bless the special occasions in Ahmedabad & Vadodara.